View job details for an assigned job. 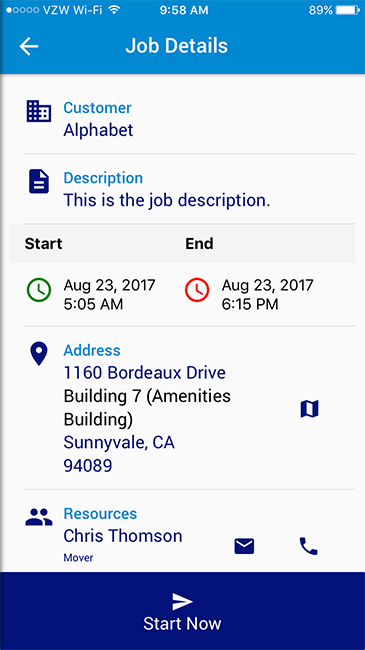 The Job Details page provided additional information on a job. After reviewing the job details, click the "Start Now" button at the bottom of the page to begin working on the job. Click the arrow in the top left to go back to the Job Summary List. Pro Tip: Click on the mail or phone icons to the right of each resource to email or call the employee.